British moralist analyst censures Muslims' and progressives' "criminally-biased, selective moralizing." Arabs, Communists, and Progressives, incited by Hamas' human-shield media circus to vilify Israel, protest Israel in L.A. at the end of July. Far-leftist, ANSWER Coalition's John Bigelow links Arab anti-Israel organizations in protest. Arab man says he came to protest what "the Jews" are doing to the Arabs- but which other Arab oppression did he rally to protest? Syrian Pres. Assad's killing of over 150,000 Arabs? Ongoing sectarian massacres in Iraq? Muslim Brotherhood oppression of Egyptians? In the same L.A. park, did he, as we did, come to defend the Muslim Iranians being shot in the street during the 2009 election? Commentator Pat Condell derides Progressives' selective indignation towards the free, Jewish state in the face of provocation by fascistic Islamist Hamas. He presents the Israel's defense against Islamofascism from an historical, rational perspective. American Arab woman leads Progressives to rally against Israel, but of all she knows about Gaza ("it's a fishing economy') isn't familiar with whether Hamas is oppressing Gazan civilians. Anti-semitism murdered relatives of this Jewish Progressive, but he denies that anti-Semitism in a factor in rabid anti-Israel progroms around the world, or even an element in Islam, Palestine, or anti-Israel protests such as this. He defends the mob's charge that Israel is perpetrating "genocide" and using the Holocaust as Israel's rationale for what they do to "genocide in slow-motion" the Palestinians. 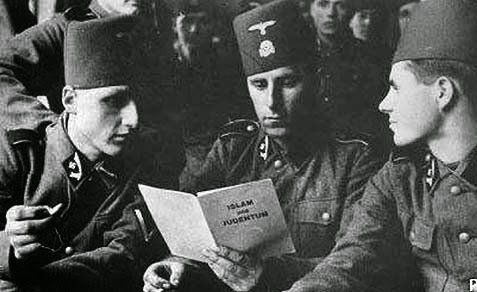 Ironically, it is the Muslims who are following the Nazis' play book. Adolph Hitler's Palestinian ally, the Grand Mufti of Jerusalem, Hajj Amin al-Husseini, assisted Egyptian President Abdel Nasser in providing sanctuary to Nazi war-criminals and continuing Nazis' annihilationist tactics into the Middle East. Under Nasser, the Nazis united Arab power against the Koran's enemy Jews, expelling nearly 1 million Arab Jewish citizens from Arab countries - and perpetuating the Muslim / Palestinian wars to destroy the Jewish state- Israel's self-defense to which these Progressives and Muslims come out to rail against. 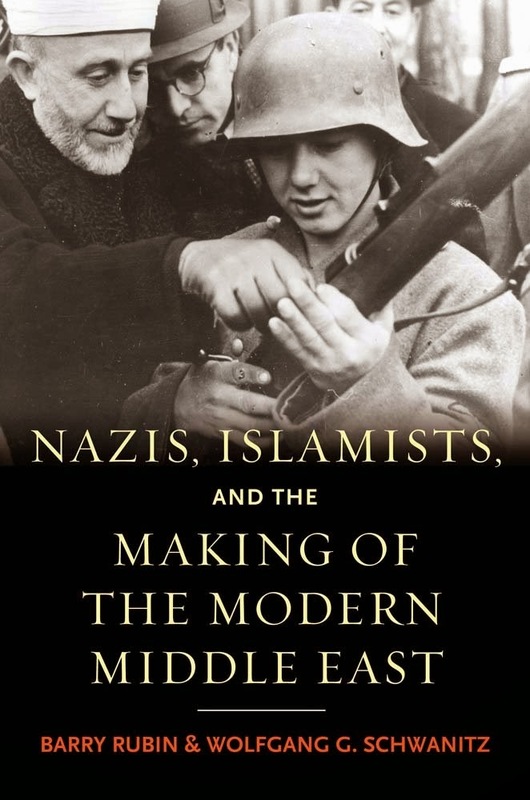 See details in Dr. Andrew Bostom's Nazis find a home in post-Mubarak Egypt, and in Nazis, Islamists and the Making of the Modern Middle East by Barry Rubin and Wolfgang Schwanitz.